Dr.J.Ramachandran is the Chairman of a social welfare organisation called New Era Association of Educated Self-Employed Youth (NAESEY) which generates self employment opportunities for the educated unemployed. Popular and Innovative Two Wheeler Kinetic Honda Dealership in a posh locality in Chennai. The Company was ranked number one in the entire south and ninth in the Country. Received various awards for the highest sales turnover and Acclaimed as one of the Best Dealers in the country. The company is doing extremely well for more than a decade. Established in 1994, an 80 Million Prawn Hatchery located in Tamil Nadu. The Hatchery has the Technology of C. P. Aquaculture limited, Thailand, one of the Global leaders in the field. Established in 1993, an Institution imparting Maritime Education, conducts Marine Courses with the approval of Director General of Shipping, Government of India. The Academy has a tie-up with Glasgow College of Nautical Studies, Glasgow, Scotland, UK. Also has an agreement with A P Moller ( Maersk ) based in Copenhagen, Denmark. 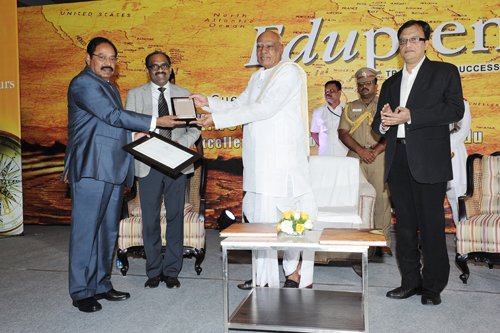 It is also the First Educational Institution in the Country certified to ISO 9001:2000 Standard. On 21th August 2007 AMET was conferred Deemed University status by UGC/MHRD on the strength of its Maritime courses & Training and has thus become India’s first and the only University in Maritime Education. Saraswathi Institute of Paramedical Sciences is a budding institute in the field of medical-education and research. It is an institution set up with the objective of providing medical services to the society with care and attention, personal touch and perfection. The institute is promoted by “Saraswathi Ammal Educational and Charitable Trust”-Chennai,under the guidance of Dr.J. Ramchandran, Chairman of the institute and Chairman of AMET university-Chennai. Established in 1998, it caters to the advancement in the field of Information Technology. Also has a business tie up with three Software Companies in United States. A Social Welfare Organisation of more than two decades, caters to the welfare needs of the Educated Youth in search of employment. Hundreds of educated youth all over Tamil Nadu have been benefited getting gainful employment with the help of the Organisation.